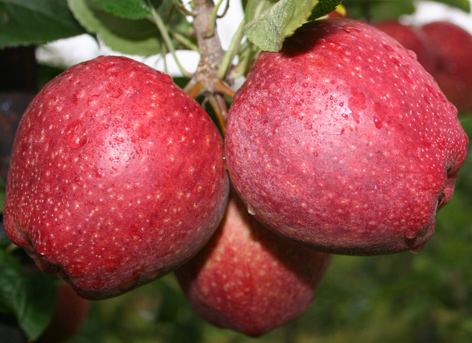 Time to reflect on the apple & pear season as harvest is now seriously under way. 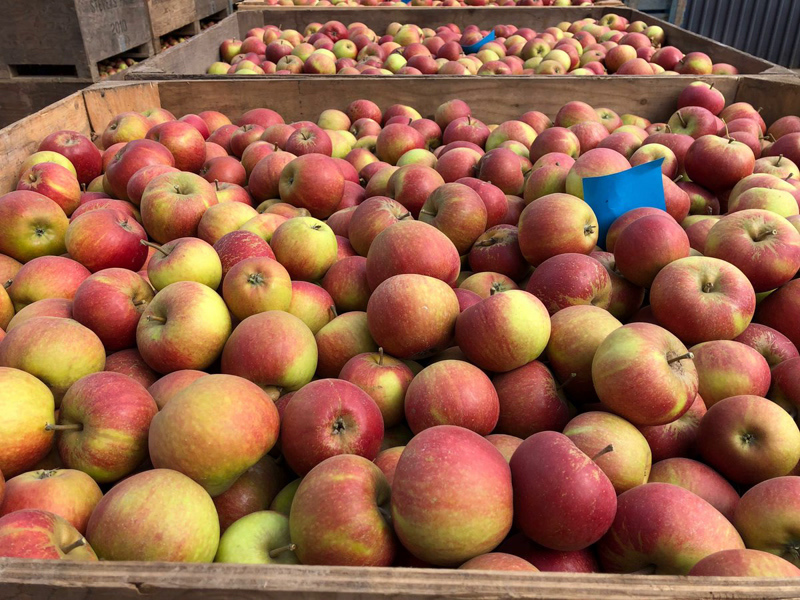 Talking to my top fruit growing friends as we reach mid-September, the apple harvest is gaining momentum with Cox for long term storage picked and growers now hard at work picking Gala into store. Cox picking for long term storage (beyond March) should now be nearing completion. Average pressures in both East and West Kent are still at or close to the 8.2kg threshold for storage to January/February, but starches are falling rapidly, brix and colour are increasing and fruit is picking easily. 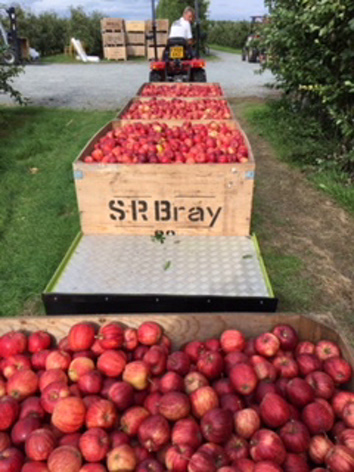 The current weather conditions of warm days and cold nights are ideal for fruit ripening, and enhancing red colour, so Cox even for shorter term storage should be harvested imminently. During the extreme heat of our summer, we speculated on whether fruit size would be seriously affected and the impact on overall yields. Experience shows us that when we underestimate yield, it is usually because the individual fruit size is above the 'speculated size' - and when we 'overestimate yield, it is due to the opposite scenario. Certainly my feeling was that the latter would prevail and yields would be below expectation. 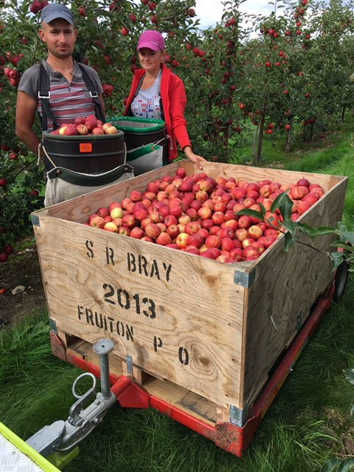 However, the rain in August has 'fuelled' a surge in size which has (estimated) added 5mm to the fruit size; except for Bramley which is picked for storage earlier than dessert apples: e.g. late August, which supports my premise! Gala picking for long term storage should now be underway on the vast majority of sites. 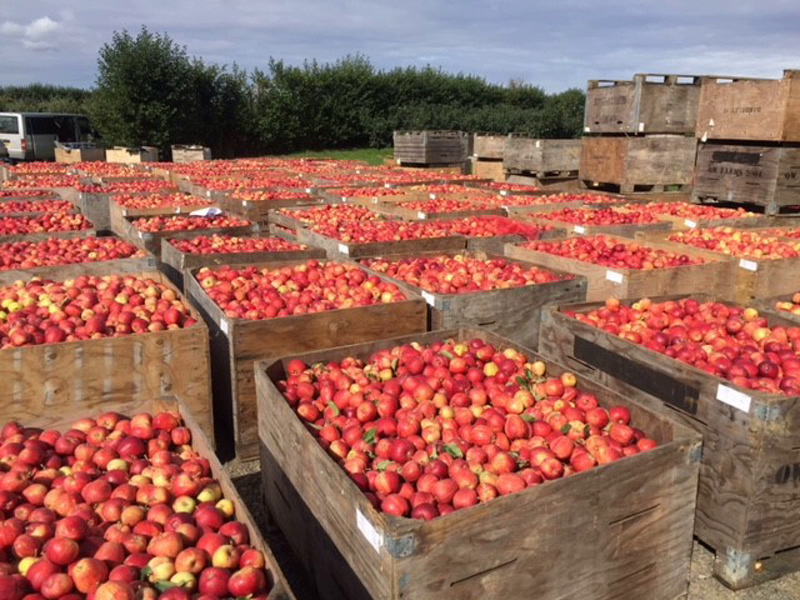 In most cases, starch is dropping rapidly, colour has improved dramatically over the past couple of days delivering a stunning sight of beautiful red apples. The question of when to pick older sports of Gala, like Mondial Gala which was the dominant sport of Gala 20 years ago, before the rapid rise of redder coloured Gala sports, but takes longer for the red colour to develop, creates a temptation to pick the 'red' clones of Gala first and leave Mondial orchards to develop a bit more colour, this is very often the wrong decision. 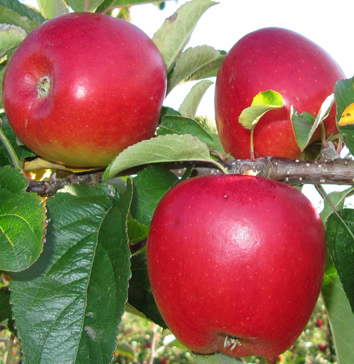 In most cases, Mondial matures 3-4 days before the red clones and leaving it until the end, for more red colour often results in the 'lead' apples becoming more coloured and the greener apples turning yellow. 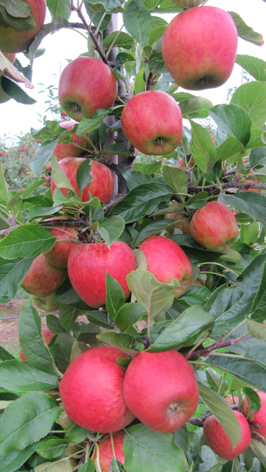 Therefore, it is far better to pick over Mondial orchards early, giving the 'green' apples chance to get good red colour, before they have gone soft and greasy. Doing this will result in a far higher percentage of marketable fruit!! Below: A breath-taking sight of Gala bins harvested in West Kent and about to be transferred back to the farm for storage. These bins are unlikely to come out of store for packing to Supermarkets before late March/early April! On many Rubens sites, picking for long term storage can begin next week. In all cases, starches are below 90% (above which picking is not recommended) and in most orchards, brix levels are good. Firmness is dropping rapidly, but it is normal for this variety to 'stabilise' at around 7kg, so growers need no be too alarmed if their orchards are close to this already. 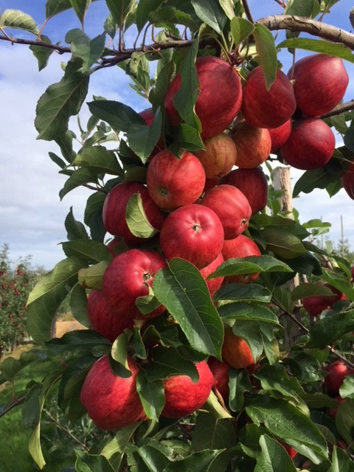 There will be many more 'home grown' apples ready for harvest in the weeks ahead, two popular varieties which will be ready in early October are: Cameo and Jazz. 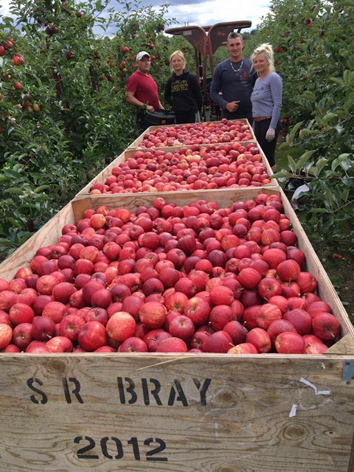 The English Apple Man will report on a plethora of varieties as they take their place in the harvesting operation over the next few weeks. As my regular 'Saturday morning readers' will have found out, this week's EAM Journal is late 'on line' due to the sudden loss of Broadband/Internet contact at my brother's 'splendid but 'highly sophisticated' technology integral to (it seems) even the simplest of household tasks - my wife could not get the dishwasher to open this morning - must be a button somewhere. I guess!!! However and fortunately, a very (new) Tesco store just a couple of miles away has been my saviour. A coffee and a bacon sandwich gave me access to the internet! So, before any more IT hiccups, I will sign off for this week @ 10.55am on Saturday morning!